A bright spirit descended upon us December 10, 1944, when Randall Palmer, III was born in Birmingham, Alabama to the late Minnie and Randall Palmer II. It was then a lifelong journey of exceptional commitment; inexpressible benevolence and outstanding achievement commenced. Randall began his educational matriculation in the Birmingham public system and upon graduation in 1962 from Munich American High School in Munich, Germany he registered at Drury College in Springfield, MO. After a short stay there he enrolled into his beloved alma mater Langston, University. While at Langston University, he pledged Alpha Phi Alpha Fraternity Incorporated, to which he became a member on his birthday, December 10, 1966. 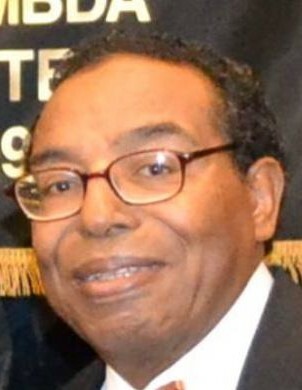 As a Life Member he remained active in the Fraternity holding many positions including 14th Southwestern Regional Vice-President. He went on to earn his Doctor of Jurisprudence from Oklahoma City University and an LLM (Judge Advocate General) from the University of Virginia. He also received a Commission from the US Army Engineer Officer Candidate School. Randall was an Ordnance Advisor for the US Army during the Vietnam War earning the Bronze Star Medal. He was also a member of the US Army Judge Advocates Corp. where he served on the US Foreign Claims Commission in Korea and as an Acting Clerk of Court, US Army Court of Military Review and legal counsel for the US Army as well as an Adjunct Professor of Healthcare Jurisprudence at Baylor University. He retired from the Army as a Major and went on to practice law in the private sector. On February 14, 1970, Randall married his life-long love, Cheryl Jean. Their remarkable partnership produced two children- Randall Parham Palmer IV “Randy” and Brandy Elizabeth Palmer. Randall had a passion for books and reading and was known for being “full of facts,” some fondly called him the Lil Encyclopedia. He was an avid bid whist player and a devoted Spurs as well as Cowboys fan. A loving father, grandfather, husband and friend, Randall dedicated his life to his greatest joy, serving others. He was an advocate for the betterment of the community through service, education and spirituality. He was a 33rd degree Mason, a life member of the NAACP, Phi Alpha Delta Law Fraternity, Leadership San Antonio, and a Deacon at Mt. Zion First Baptist Church. To know him was to love him. Randall leaves to cherish his memory and legacy, his wife of 48 years Cheryl Palmer, San Antonio, TX. ; son Randall IV, Austin, TX. ; daughter Brandy, Los Angeles, CA. ; two grand children: Alexa and Randall V, Austin, TX. ; sister Joann Crawford, Birmingham, AL; two Uncles, Riley Palmer (Marlene), Sun Lakes, AZ, and Roosevelt Palmer (Almeda), Detroit, MI. ; and a host of nieces, nephews, cousins, colleagues and dear friends.